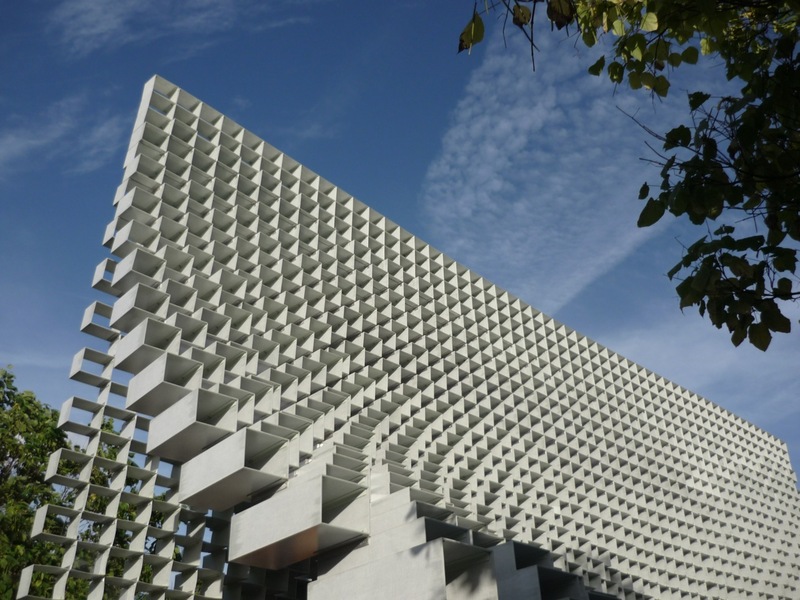 Every year since 2000 London’s Serpentine Gallery has invited a renowned architect to create a pavilion in the grounds of Hyde Park where the gallery is based. 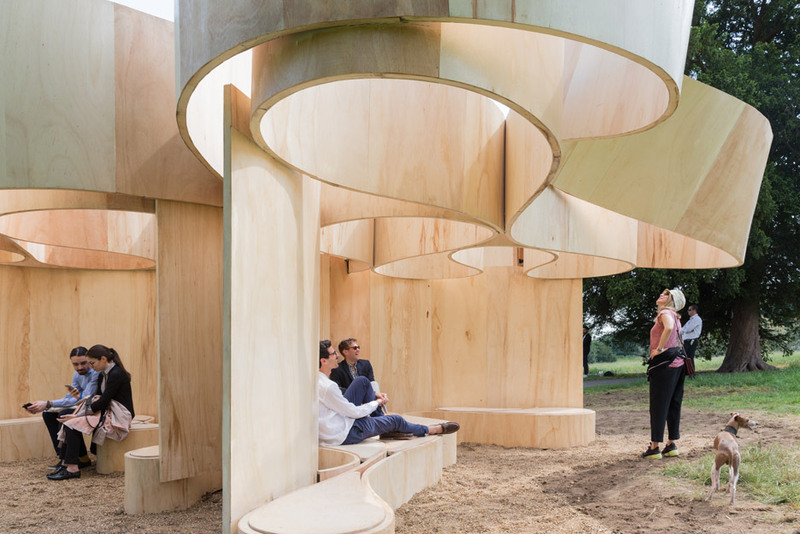 From the date of invitation, the architect has six months to design and install a 300 square metre pavilion which must house a café and space for cultural activities organised by the Serpentine. The first architect invited to launch the annual event? Dame Zaha Hadid. Yes, we keep returning to her! This year the brief was awarded to BIG, the office of Danish architect Bjarke Ingels, whose pavilion (shown above) took the form of two inward-sloping walls that come together 14 metres above ground, using a single element: a fibreglass box, open at either end, to allow views of the park. 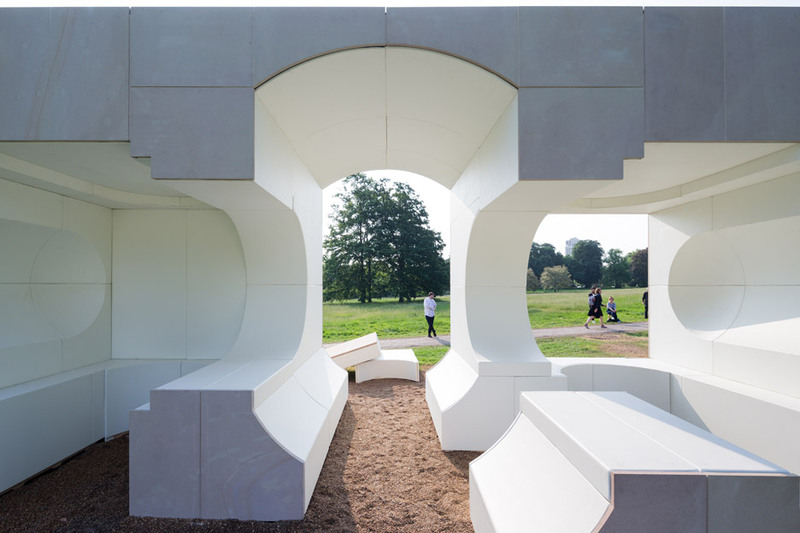 For the first time, the Serpentine also commissioned four architects to build smaller structures which it referred to as summer houses. 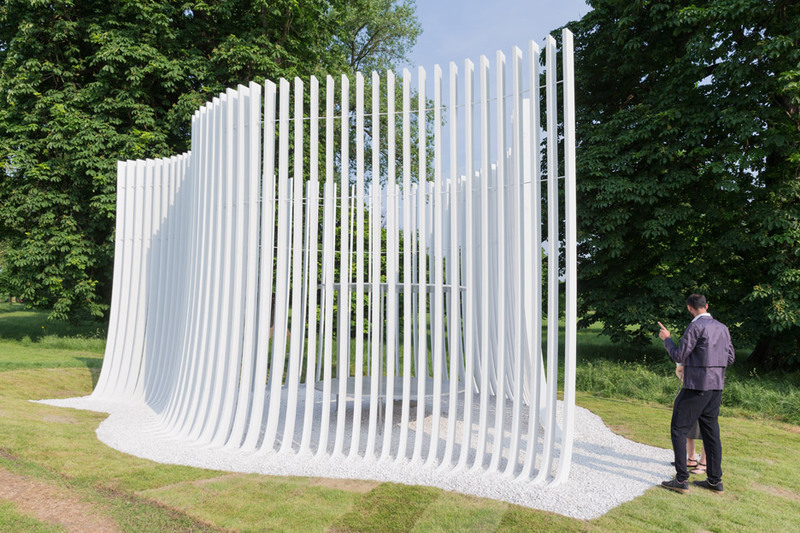 “Zaha Hadid once said that ‘there should be no end to experimentation’ and this has become a mantra for the Serpentine team,” the gallery said in a statement at the opening of the event. 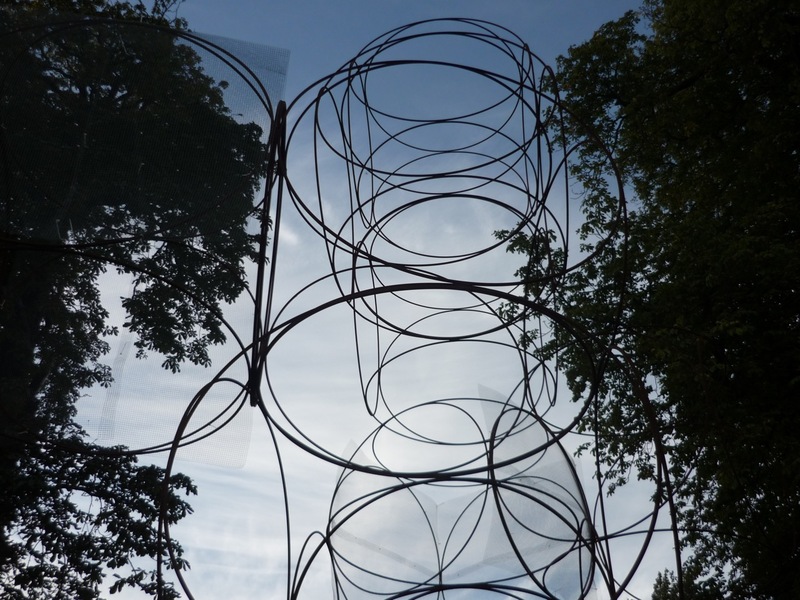 Hungarian-born French architect Yona Friedman based his summer house (above ) on a grid of modular wireframes – a fragment of a structure that could be used to construct much larger buildings. Friedman suggests that, through the use of mobile and modular architecture, cities can grow without needing lots of land, and residents can create homes tailored to their specific needs. 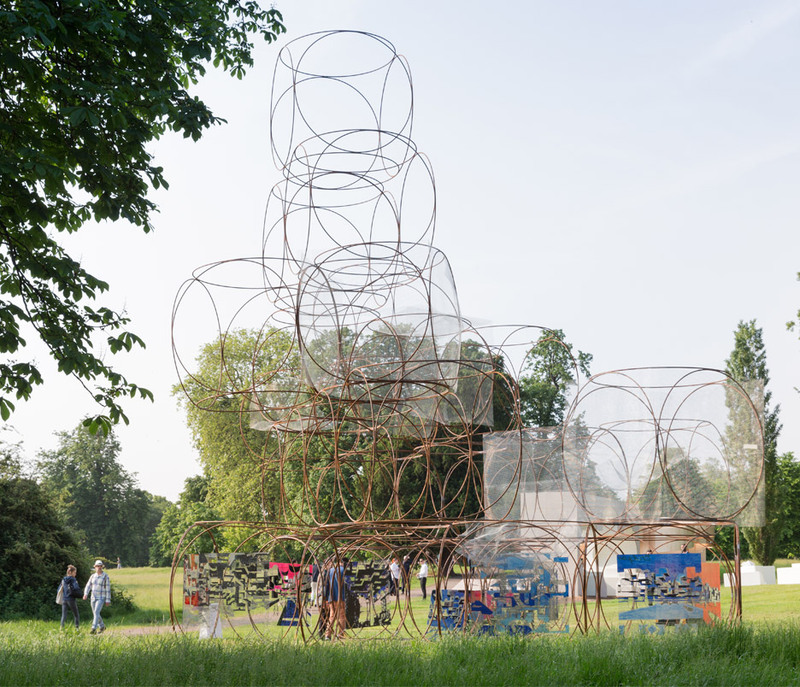 Nigerian architect Kunlé Adeyemi designed his summer house (shown above) by distorting the form of Queen Caroline’s Temple, an 18th-century neoclassical pavilion that stands a minute’s walk from the gallery. By creating what Adeyemi describes as an inversion his design shares the same proportions but is much simpler in shape. “We were fascinated by the form and the proportions of the temple, and basically looked at it and played around with it,” he said. Berlin based partnership Barkow Leibinger’s curving timber summer house is comprised of undulating structural bands, offering a different perspective from every angle. “Through form, massing and materials, we’ve created a place of shade and relaxation,” said Leibinger. Londoner Asif Khan’s design features two aluminium discs stacked in the centre, which reflect sunlight around the space. 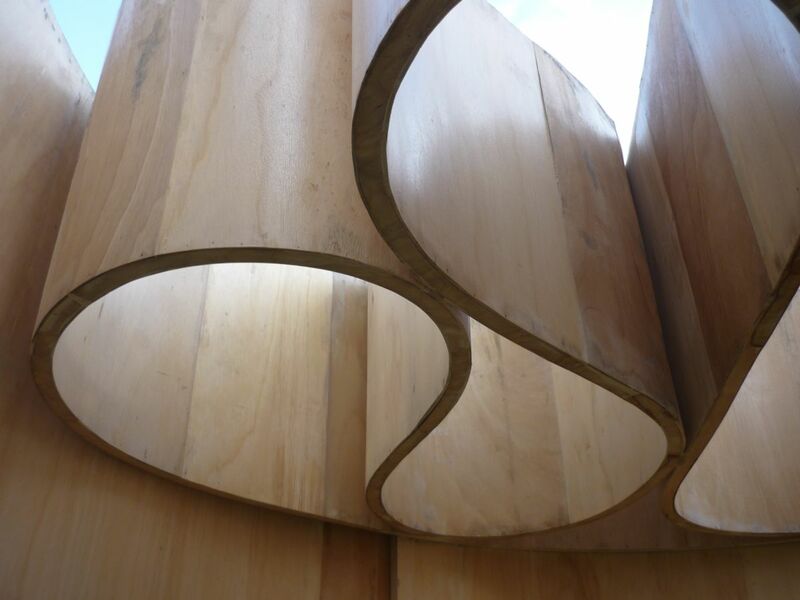 One hundred curved timber staves surround the discs designed to look like they’re growing up from the ground. 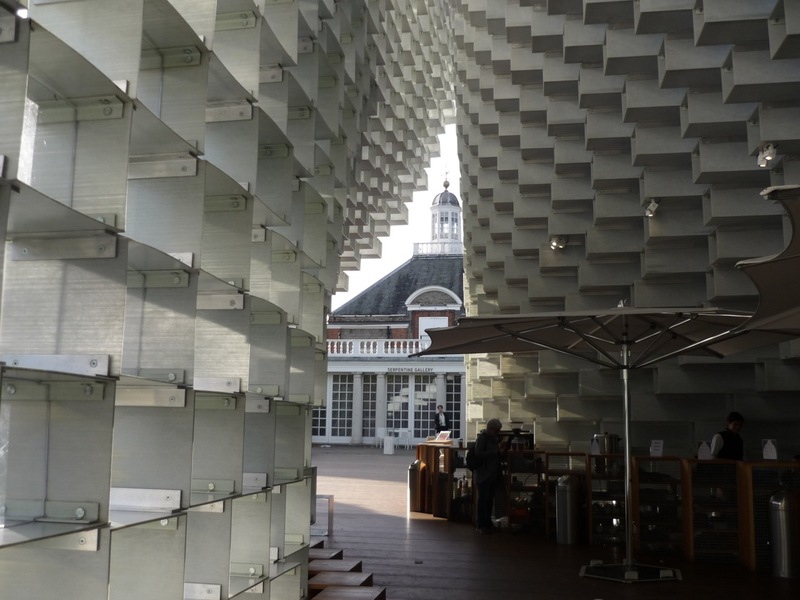 There is no budget for the Serpentine’s annual pavilion project which is realised through sponsorship, in-kind support and the eventual sale of the Pavilion. Images: Bespoke Bathrooms; Dezeen; Serpentine Gallery/Iwan Baan.